Update: This event was originally posted as a potluck, but there's no need to bring food or drink. We'll provide refreshments and hotdogs. Come one and all to celebrate Oswald Veblen's 138th birthday on Sunday, June 24 on the Veblen House grounds at Herrontown Woods. 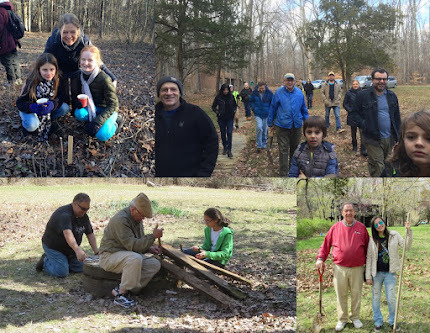 Veblen was recently featured in a cover story by the Princeton Alumni Magazine, and the Friends of Herrontown Woods has decided to celebrate his legacy with a picnic next to the house he and his wife generously donated to the public trust. The picnic gathering goes from 2-5pm, and will include displays about the past and future of the house and accompanying preserve, and tours of our work to restore the Veblen House grounds and create a new botanical garden. On the grounds are a horse run, the beginnings of an edible forest, and newly planted raingardens. Park at the main parking lot off of Snowden Ave, across from the Smoyer Park entrance, then follow signs up to the house. Useful maps are at this link. We'll have refreshments and grill some hotdogs.